•	F, J and M nonimmigrants who fail to maintain nonimmigrant status before August 9, 2018 will generally start accruing unlawful presence on that day. •	F, J and M nonimmigrants who fail to maintain nonimmigrant status on or after August 9, 2018, will generally start accruing unlawful presence the day after they stop pursuing their authorized course of study, engage in unauthorized activity, or complete their program and authorized grace period. •	The new unlawful presence triggers will create complications for students and exchange visitors who wish to apply for a visa, admission or adjustment of status after falling out of status. USCIS will radically revise how it calculates the accrual of unlawful presence for students and exchange visitors who fail to maintain their F, J or M nonimmigrant status in the United States, according a policy memorandum issued late Friday. Starting August 9, 2018, F, J and M nonimmigrants and their dependents will automatically accrue unlawful presence upon certain triggering events, such as failure to complete the authorized course of study or engaging in unauthorized activities. The change in policy is intended to comply with President Trump’s Executive Order: Enhancing Public Safety in the Interior of the United States. The memorandum is open to public comment through June 11. 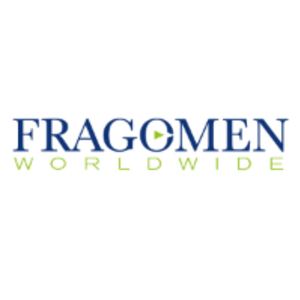 Individuals and employers interested in commenting may contact their Fragomen professional. The new policy establishes different guidelines for calculating unlawful presence based on when the failure to maintain status occurred. The day after an immigration judge or, in certain cases, the Board of Immigration Appeals, ordered the foreign national excluded, deported, or removed (whether or not the decision is appealed). The day after an immigration judge or, in certain cases, the BIA orders the foreign national excluded, deported, or removed (whether or not the decision is appealed). The memorandum will supersede current guidance related to unlawful presence, which indicates that students and exchange visitors who are admitted for, or present in the United States in duration of status (D/S) only accrue unlawful presence after USCIS formally finds a nonimmigrant status violation or an immigration judge orders the applicant excluded, deported or removed, whichever came first. Because the accrual of unlawful presence is what leads to the three and ten year bars to admission, the new policy can create hurdles for students and exchange visitors who fall out of status and wish to apply for a visa or admission, or to adjust status to U.S. permanent resident. Individuals who have accrued more than 180 days of unlawful presence and then depart are subject to a three-year bar to admission, while those who have accrued more than 365 days of unlawful presence and then depart are subject to a ten-year bar to admission. Such individuals are generally not eligible to apply for a visa, admission, or adjustment of status to permanent resident unless they are eligible for a waiver of inadmissibility or another form of relief. This alert is for informational purposes only. If you are affected by this policy, please contact the immigration professional with whom you work at Fragomen.